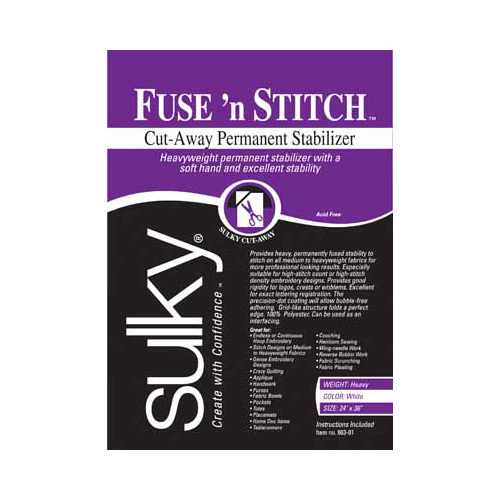 Heavy-weight, permanent, iron-on, fusible stabilizer. Perfect for home décor items, dense embroidery stitch designs on medium to heavy weight fabrics, purses, fabric bowls, wing-needle work and more. Cut to desired size before fusing.